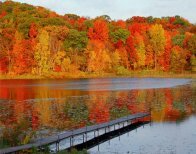 Amazing Threads: SURPRISE! Let's Shake it UP! 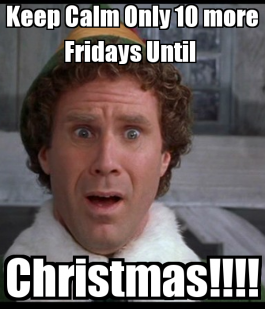 I won't start the holiday countdown just yet! Yarn Tasting Models are up all around the shop and featured on-line! Check them out On-line HERE! 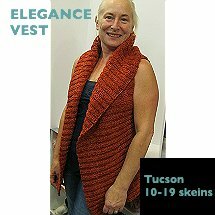 Top sellers included Elegance Vest in Tahki Tucson, Churchmouse Go-To Cardigan in Rowan Felted Tweed DK, & the Autumn in Autumn (free) in Blue Sky Alpacas Extra. We have another exciting weekend planned at the shop. Mira Cole, owner and color specialist of Baah Yarns is sharing her time and talents at our shop. She has also sent us $25,000, yes that number is correct, in yarn for the Trunk Show on Saturday and Sunday. 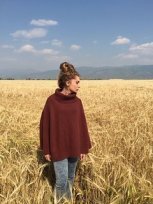 Mira will debut her new yarn "Manhattan" HERE ON SATURDAY! 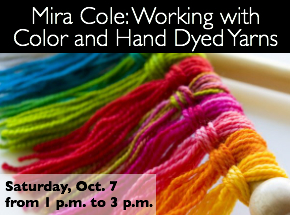 Mira will be teaching a class on Saturday from 1-3 featuring knitting with hand dyed yarns. Registration is $20 which will be applied to any Baah purchase on Saturday. So, class is FREE! 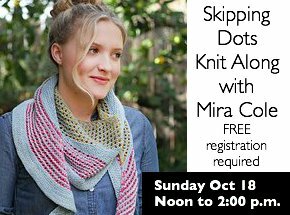 Mira will also start us on a Skipping Dots Knit Along on Sunday from 12-2 pm. Click on the pictures below to register! We welcome the Amano Yarns to our shop. 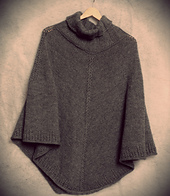 Amano features the the finest alpaca from Peru. Our collection includes five yarns in a variety of fibers and weights and 21 patterns. The story behind Amano is rooted in the though the thousand year-old magical beliefs of the Andes people and their connection to the mountains, earth, rivers, and sky. We all gasped as we took the Trunk Show garments from the box today. Garments here through October 18! Apu is 100% Imperial Alpaca, the finest alpaca in the world. This yarn is only presented in its most natural state, raw white. 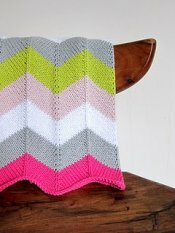 We knit the 2 skein Maria Cowl..SCRUMPTIOUS to knit and wear! Puna is 100% Baby Alpaca. The palette is limited to 11 melange colors inspired by the Andean landscape. 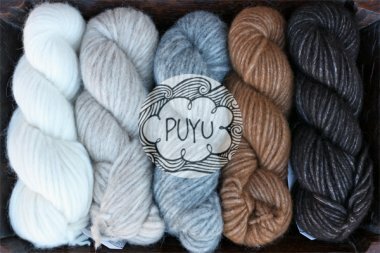 Puyu is aptly named for the clouds, is 70% Baby Alpaca in a web of 30% Mulberry Silk...and perhaps the lightest chunky yarn you'll find. 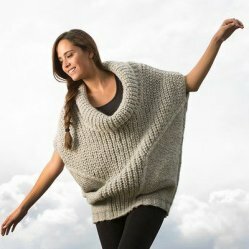 The nine colors are inspired by the natural colors of the Alpaca herds found in the Andes. Warmi is the union of 70% Baby Alpaca and 30% Merino Wool. The palette of 11 melange colors is inspired by Peruvian fruits and vegetables. 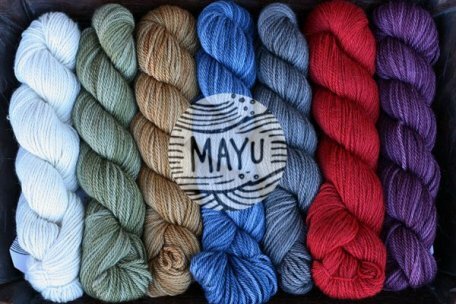 Mayu is 60% Royal Alpaca, 20% Cashmere and 20% Mulberry Silk. The colors are dip-dyed imitating the Incas' dyeing technique. The palette of 12 colors is inspired by the soft landscapes of the mountains.